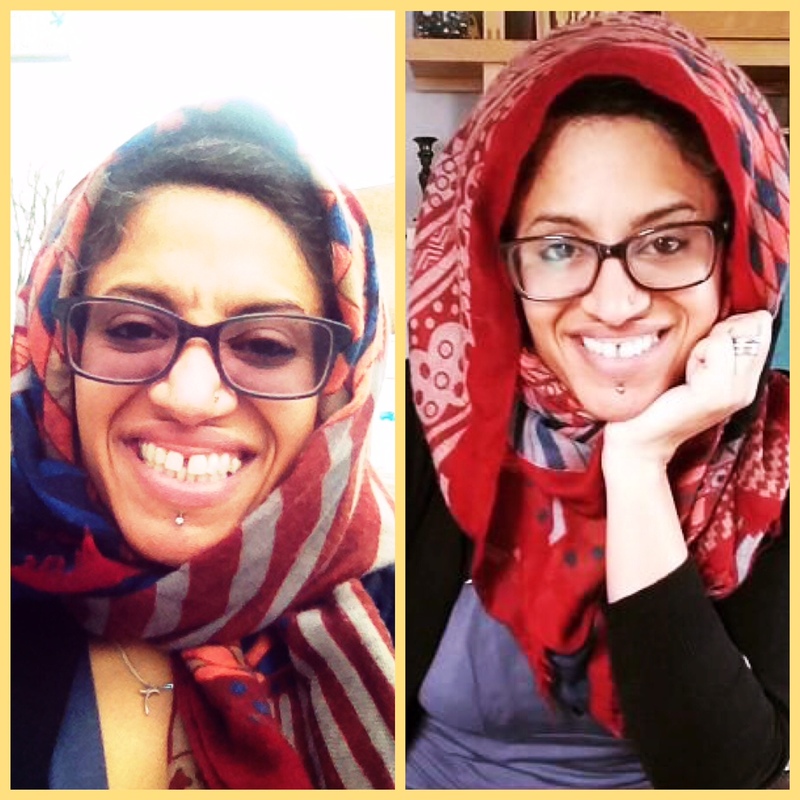 So, a while ago I decided to wear a Hijab for a month out of a mixture of curiosity & empathy. I wondered what it is like wearing something which marks you out as having a particular belief, value and belonging to a specific-and often misunderstood & misrepresented group. And as I look Asian I also wondered how I might be treated differently and how I would feel wearing a scarf over my head, not for fashion or because I was having a bad hair day (this happens a lot!) but just to see how I felt looking like a Muslim woman in London. Day 1: peripheral vision is blocked-duh, how did I not expect that?! It feels less secure crossing roads and I’m wary as people walk behind me as I can’t tell how close they are…oh well, I’ll adjust. -I spent TWENTY minutes trying to get hijab right-ok, I mean pretty…clearly vanity not modesty is ruling this experiment, doh. -I got a really warm neck walking quickly (because I’m late! )-it’s not pleasant feeling sweaty necked. -My scarf got blown about in wind and is a mess-my responses 1) good! Take THAT vanity! 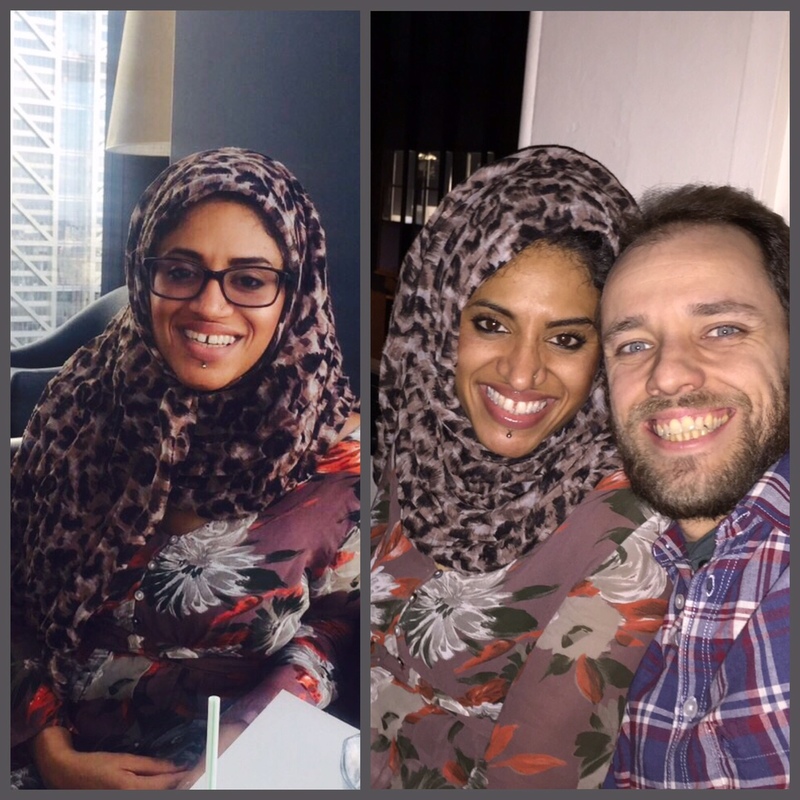 2) Hmm, my head now looks less purposeful ‘hijab’ and more thrown over headscarf-I need to sort it out. -I feel bad saying that I was (stupidly) surprised several men I passed still looked at me – did I think I’d be invisible in my leopard print hijab and flowery dress? I did wonder if they were looking because of my hijab or just cos I’m a bright, patterned passer by…and then I thought, if it’s cos I’m bright thennnn I’m still drawing attention to myself so not a win for modesty at all: I’m so conflicted by the balance of self-expression and modesty as a Hijabi. -Studying with my friend (she totally understood & approved my reasons for lateness, what a gem! )…after a few hours of sitting, chatting and working, I totally forgot I was wearing a hijab-today it wasn’t in my peripheral vision which helped. -I change up my Hijab style before leaving for my date with hub to see how it feels; kirby grips transformed me from Afghani school girl to modern ‘urban’ hijab chick in 10minutes-see the pics! -I notice fellow hijab wearing women’s smile at me-it could just be politeness because I’m a smiley person but think, by their warmth and the knowing look in their eyes, it’s a smile of solidarity and recognition of seeing a sister in a hipster part of London where there are more beards and red trousers than hijabs- feels good but I also feel a bit of a fraud. -The date: I wanted to see how David felt walking with me in my head scarf -so chuffed and proud that my white, English hub couldn’t care less about what’s on my head and just rolled with it! I was self-conscious wearing the hijab in a bar but wanted to commit soo I ordered a cocktail anyway to see if I had any reactions drinking alcohol…none. Great! In hipster London it seems NO.ONE.CARES. If there had obviously been a Muslim present (perhaps imbibing a J20) I probably wouldn’t have been daring enough to oder alcohol for fear of causing offense but all in all, Days 1 & 2 have been interesting and educational. More days to come along with more random Hijabi thoughts, feelings and wonderings. PS.Comments ALWAYS welcome-just please think first. I loved this idea of a tension between vanity and modesty… something I think we can all think about! Such a fascinating project. Great work!